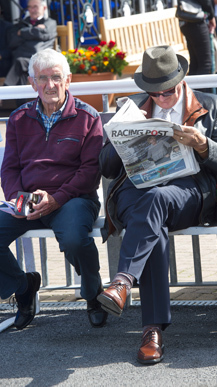 What’s New at The Galway Races this Summer? Located beside the Parade Ring, this Summer on Monday 30th July we invite you to visit and experience our new two storey ‘Wilson Lynch Building’, named after the gentleman that donated the land to the Galway Race Commitee in 1869. This new €6 million development will offer our race goers modern, comfortable and stylish new facilities that include, on the ground floor, a Betting Hall, Coffee Dock and toilets. On the first floor, enjoy a Champagne Bar equipped with a mini grand piano and more ladies and gent’s toilets. The Tote and Galway Races are delighted to announce the signing of a new three-year sponsorship agreement confirming the Tote as the title sponsor of one of Ireland’s most historic races, thetote.com Galway Plate. The news follows the decision confirmed in February to move the fixture on Wednesday August 1st to an evening slot, with the first race off at 5.10pm and the big race due to go to post at 7.20pm. This move is designed to boost local attendance from the greater Galway region and beyond. 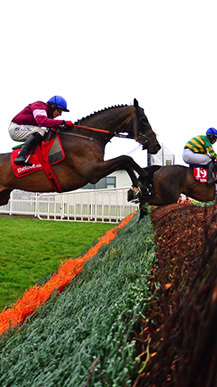 The Tote first sponsored the race in 2010 and this renewal will take the company’s association with the Galway Plate into its eleventh year in 2020. With a first prize of almost €150,000, thetote.com Galway Plate has always attracted high quality horses and President of Ireland Michael D. Higgins is once again expected to present the Plate to winning connections. Worth €250,000 in total prize money, the race has produced some high class recent winners including Carlingford Lough, Road To Riches and the 2017 winner Balko Des Flos. Prize money has been increased this year to a new record level at the Ballybrit venue to over €2,000,000. With fifty-two races over the seven days, each day offers a minimum prize fund of €100,000 for the feature race, with a minimum value for any race at Galway increasing to €17,000 up from €15,000 in 2017. 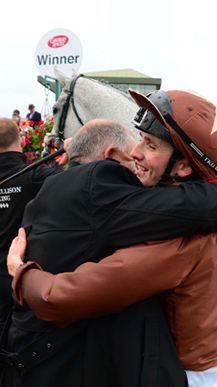 Chanelle Pharma, the long serving sponsors of the Leading Trainer Award at the Galway Races have announced some significant changes in this year’s points system and prize allocation. The competition which runs over all seven days of the Festival will now go to the trainer who registers the most wins over the seven days (with placed horses taken into consideration in the event of a tie). The new system replaces the old points system where points were awarded for first, second and third place. The prize money for this year’s award will also change this year with €3,000 going to the Leading Trainer and to signify the magnificent job the stable staff do during the races, €2,000 is now going towards these dedicated and industrious staff. 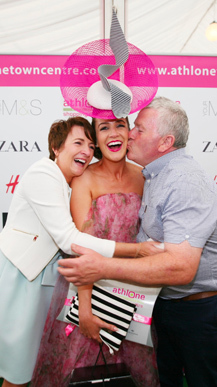 This is Chanelle’s 33rd year sponsoring the Chanelle Pharma Leading Trainer – one of the longest running sponsorship relationships in the history of the Galway Races and nicely correlates with the 33 years since Chanelle first opened its doors as a manufacturer of generic pharmaceuticals in Loughrea in 1985. With country music and jive dancing in full swing, get your dancing shoes ready and join professional dancer Niall Doorhy and friends on Wednesday at the Galway Races for some fun, dancing and lots of entertainment. During racing on Tuesday and Friday, Kevin O’Ryan will host a fun and engaging event on the main stage located behind the Millennium Stand. 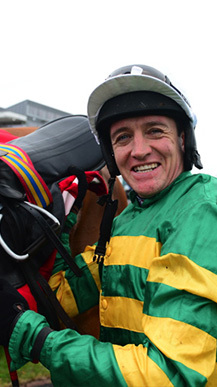 Join Kevin as he chats to many well-known faces from horse racing and the world of sport. This year, the team at Galway Races present to you its biggest musical line up yet! We have over forty live music performances over the seven days of the Festival, including Bongo Steve, The Conquerors, 4MenandaBase, DJ’ Ronan Lardner plus lots more! Galway Racecourse in association with Galway Chamber and Galway Bay FM have launched their inaugural and colourful ‘Galway Races Shop Window Competition’ with businesses in Galway City and County invited to take part. Be in with a chance of winning an all-inclusive VIP day out for your team worth €3,000. With its quick and easy entry process, register your business from today. First prize on offer is worth €3,000: enjoy the ultimate race day experience – a V.I.P. Day at the Galway Races for twelve people on Monday 30th July. Dine with us in style at Galway Races. The top fifteen businesses chosen based on their window displays will each receive twenty admission tickets for their staff to enjoy a day at the Galway Races on Wednesday 1st August, thetote.com Galway Plate evening. On Monday, as the horses go to post for the first race, racegoers will be treated to a special opening performance in the parade ring by the Galway Tenors (Frank Naughton, Sean Costello and Alan Greaney) as they perform the arousing song ‘Fields of Athenry’ to officially open the 149th Galway Races Summer Festival. 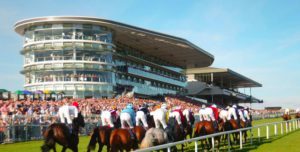 Following the success of the inaugural Western Alzheimer’s Pub Pint Race at the October Galway Races last year, the charity race is back for the Summer Festival. 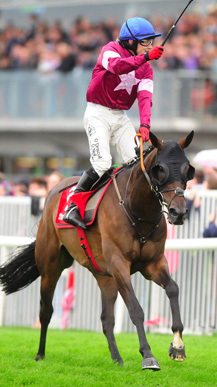 The race takes place on Saturday August 4th at the Galway Races from 1pm. Each pub fundraises for Western Alzheimer’s then nominates a representative to compete in the race against a number of other pubs, which involves running a distance with a pint on a tray – the person that finishes fastest and with the most liquid left in the glass wins. The winning pub receives a specially commissioned sculpture to display in their pub for the duration that they hold the Pub Pint Race winning title! The current title holder is Darcy’s Bar in Eyre Square. There is also a group prize for the team that raises the most money.